Today the city and the MTA released a long-awaited plan to get riders to Manhattan during the L train shutdown. Among the many proposed transit tweaks, Manhattan’s 14th Street will be transformed into a bus-only thoroughfare to keep rush hour running smoothy. 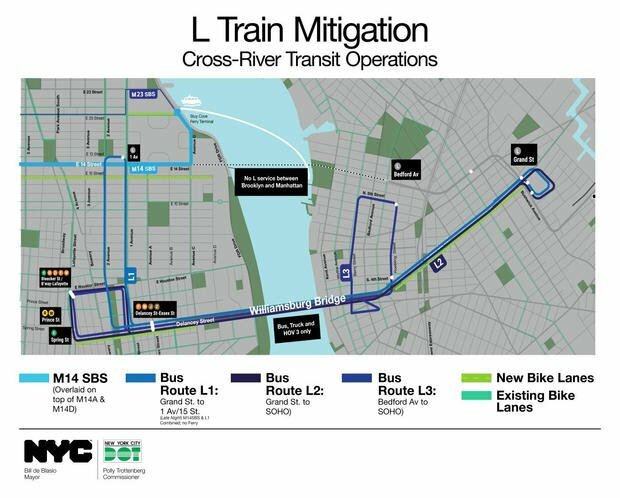 In both boroughs, new bus routes and bike lanes will help ferry 225,000 daily would-be L train commuters to their destinations. The MTA is also beefing up service on L-adjacent lines, in part by opening up disused subway entrances in Brooklyn and running longer trains on the G line. There will also be new high-occupancy vehicle rules for those driving over the Williamsburg Bride, AMNY reported. The L train’s Canarsie tunnel was badly damaged by flooding during Hurricane Sandy and has to be closed for 15 months so the MTA can perform extensive repairs. The closure, which will suspend Manhattan-to-Brooklyn service, is expected to commence in April 2019 and last through June 2020. During the shutdown, the L will run mostly normally though Brooklyn until it reaches Bedford Avenue, the final station before the tunnel. 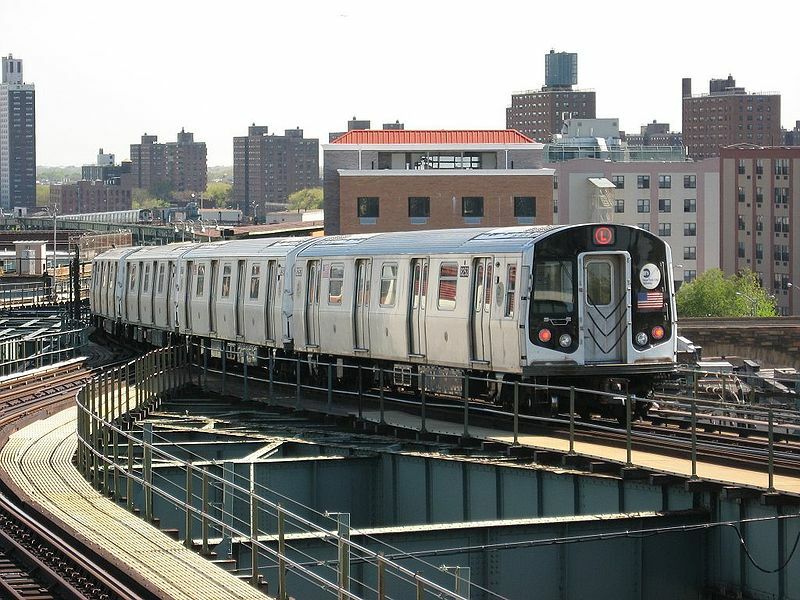 The MTA will increase service on the J, M and Z lines, and bus service along new routes will pick up riders at subway stations to carry them over the Williamsburg Bridge and through lower Manhattan. To carry an estimated 3,800 bus riders per peak hour, the lanes will be restricted to trucks and vehicles with three-plus passengers. The plan should alleviate residents’ and business owners’ fears over the effects of the shutdown. In Manhattan, a multilane crosstown busway on 14th Street between Third and Ninth avenues will supersede all regular traffic except local deliveries, while 13th Street will get a dedicated two-way cycling lane.